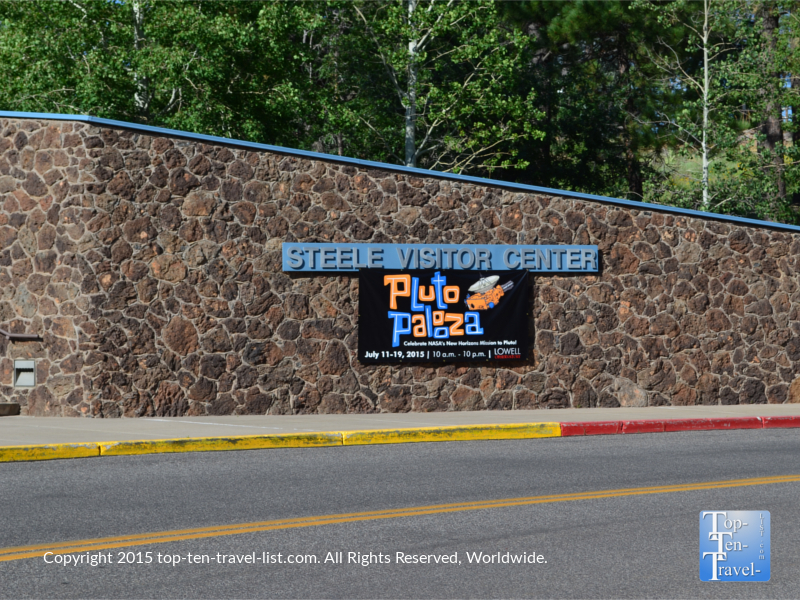 Attraction of the Week: Pluto-Palooza at the Lowell Observatory - Top Ten Travel Blog | Our experiences traveling throughout the US. The Lowell Observatory, located just 1 mile from downtown Flagstaff Arizona atop a mesa known as Mars Hill, is most famous for being the site of the discovery of Pluto. Founded in 1894 by Boston mathematician/astronomer Percival Lowell, this observatory is one of the oldest in the country. In 2011, the observatory was recognized as “One of the world’s 100 most important places,” by TIME. 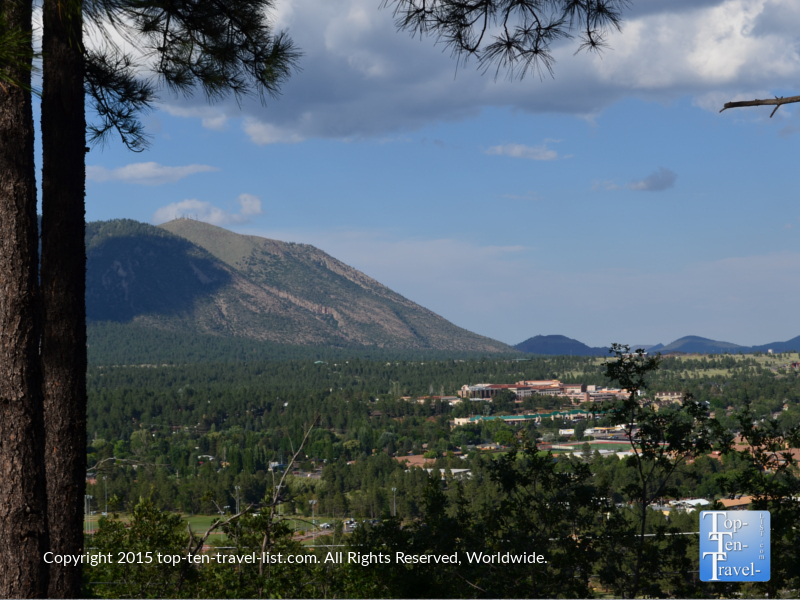 Flagstaff was awarded the title of World’s 1st International Dark Sky City on October 24, 2001, making it the perfect place for stargazing due to it’s minimal light pollution. The tree-lined grounds are beautiful. The views of the city and mountains are gorgeous. Take a look below. There are places to sit and relax while enjoying the views, along with a short educational path where you can learn some new facts about each planet. 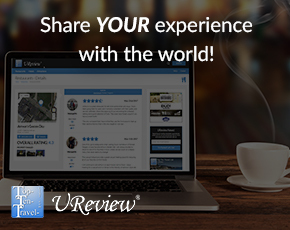 At night, you can take in the views of the starry skies & city lights. During your visit, you will have the opportunity to take a look at the telescope which was used back in 1930 by Clyde Tombaugh to discover Pluto. During a special Pluto-Palooza event to commemorate the first photos of Pluto, we had the opportunity to take part in a special celebration which included speeches, an interesting liquid nitrogen presentation, telescope viewing, and viewing of Pluto on a large screen. It was an interesting event to attend, especially for those interested in astronomy. The staff seemed to be very excited and provided very enthusiastic & detailed presentations. The Pluto & NASA’s New Horizons presentation as well as the Cosmic Zoom were both very interesting. The celebration was over NASA’s New Horizon probe obtaining images of Pluto after being launched 9 years prior. These images were taken over 3 billion miles away. The high resolution photos (which we got to view during our visit), have enabled scientists to see what Pluto actually looks like, as opposed to just guessing in the past. These photos, which were taken 7750 miles above the surface of Pluto were captured on July 13th, and are considered an amazing milestone in the astronomy field. The McAllister telescope is used exclusively for public viewing. The Discovery Channel Telescope, a 4.3 meter, $53 million dollar telescope, is the 5th largest in the world. 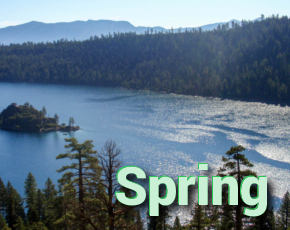 It is located 40 miles Southwest of Flagstaff in Happy Jack. The Clark Refractor, which recently underwent renovations, is a 24 inch refracting telescope built in 1895, originally used by Lowell to research intelligent life on Mars. Today it is used mainly for educational purposes. There are 4 telescopes at the Anderson Mesa research location, just 10 miles Southeast of Flagstaff. The 72 inch Perkins telescope, the 110 inch John S. Hall telescope, the 31 inch NURO telescope, and the Navy Precision Optical Inferferometer are amongst those found here. The Rotunda Museum houses several displays including one about the discovery of Pluto in 1930, Lowell’s importance in mapping the moon for the Apollo program, Pervical Lowell’s extensive research on Mars, V.M. Slipher’s discover that our universe is expanding, and a history of the Lowell family. This is where the Cosmic Zoom presentation is held. The museum is open for the nightly shows and the daytime tours. *Solar Viewing – At 10am, 1pm, & 4pm, you will be able to view the sun through a special solar telescope. *Public telescope viewing – On clear evenings, you will get to observe using the 16 inch McAllister telescope, the Clark Telescope, and/or by way of portable telescope set up in front of the Rotunda Museum. You can also view objects during the day at the McAllister Dome fro 10am-5pm. *Guided tours – At 11am & 2pm, a Pluto tour is offered which includes the opportunity to see the Pluto Discovery telescope. At noon & 3pm, you can take the Deep Space Tour and view the Clark Telescope Dome. Every hour from 5-9pm, you can watch a Discovery Channel special on the Discovery Telescope. *Pluto & NASA New Horizon’s – Learn more about Pluto during this fun and interactive presentation in the Visitors Center at 8pm each night. *Cosmic Zoom – At 5 & 7pm, you can learn about our place in the universe. This is a pretty interesting show which uses new technology. *Sky Tonight – At 6 & 8pm, you will be able to take a tour of the current night sky, exploring planets, bright stars, constellations, and more. *The Pluto Walk – A 350 foot outdoor walk where you will learn more about our solar system and enjoy the peaceful, beautiful grounds. 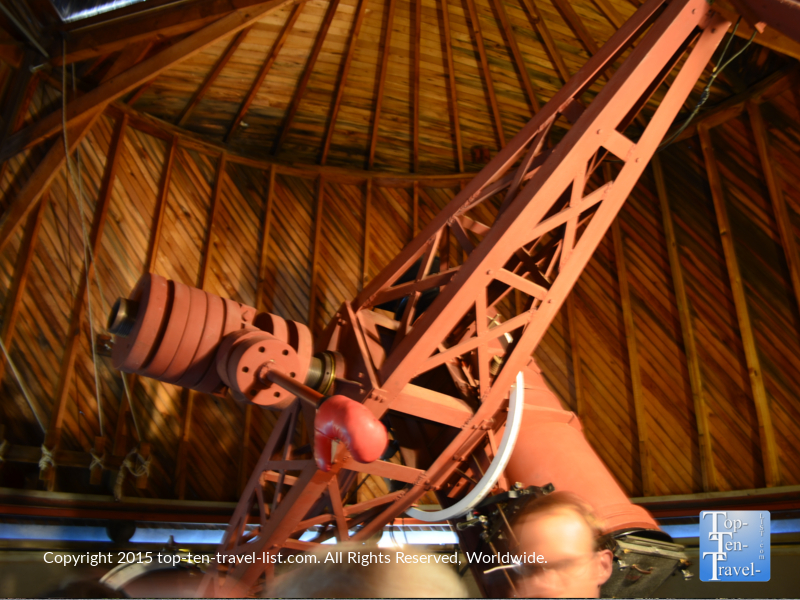 Overall, a trip to the Lowell Observatory is an worthwhile option for those interested in space/astronomy who are visiting or passing through the Flagstaff area. The presentations are interesting & educational, the grounds are beautiful, and having the opportunity to look through a telescope is always an interesting experience. 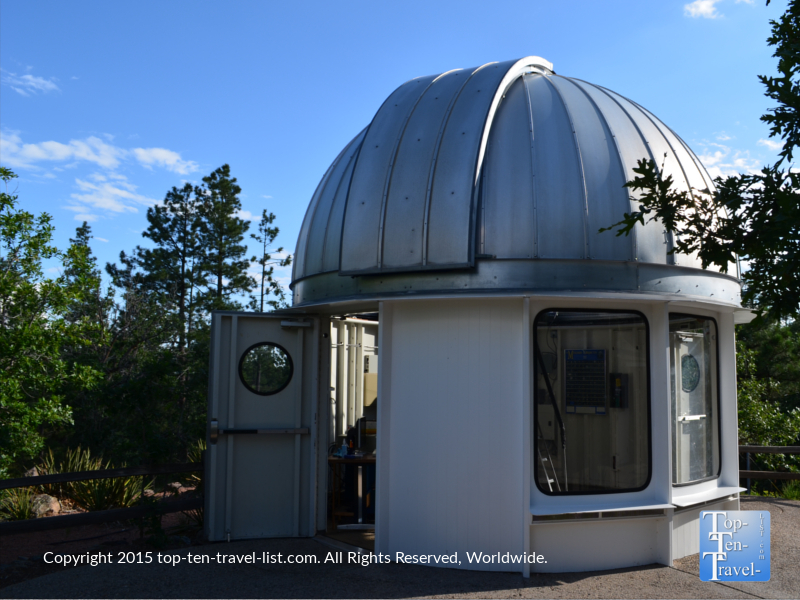 The Lowell Observatory is located at: 1400 West Mars Hill Road Flagstaff, Arizona. Hours are 10am-10pm (Sunday until 5) year round. Prices are $12 per adult, $11 for seniors, $6 for ages 5-17.